Posted on January 31, 2019 January 31, 2019 by Tunes in T.O. 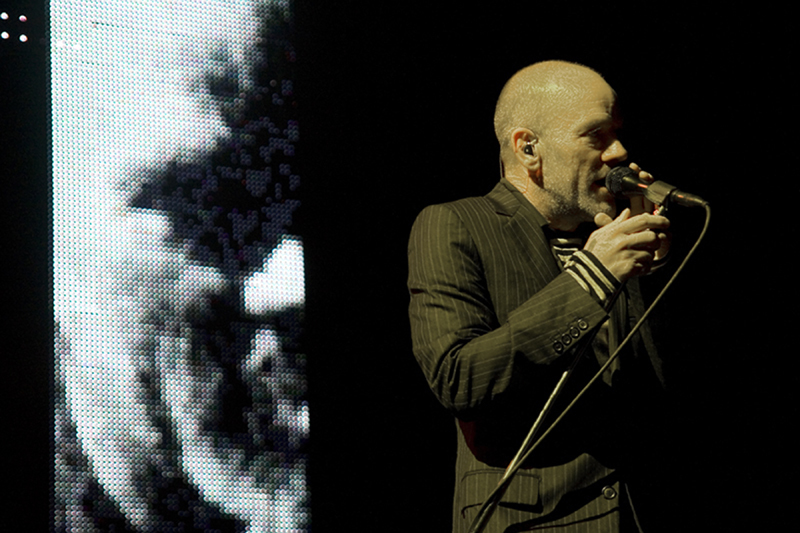 Growing up in the early 90s, one of the music groups I distinctly remember getting into was R.E.M. In 6th grade, I was starting to listen to music other than whatever was being played on Buffalo, NY’s KISS 98.5. Part of this was making new friends in school that were into different music I wasn’t aware of. Another part of this could also be attributed to the fact that I started watching MuchMusic, when they actually played music videos. But it was around this time that I really started to seek out music. It was also then that R.E.M. released their album Out of Time, and when I got that cassette tape for Christmas, I remember feeling really excited to be starting my musical journey away from Pop/Top 40 radio. In the summer of 2008, I had the fortunate opportunity to photograph the band on what ended up being their final proper tour. At that point, I had equipped myself with a greater knowledge of their back-catalogue, but my favourite moment of that show was seeing the band perform the song that first drew me in, “Losing My Religion.” The mandolin took me right back and reminded me of why I was a fan in the first place. Hearing Dan’s version, though different, gave me that similar feeling of discovery. Though very familiar with Dan’s music (this post could easily have been a TBT to Dan Mangan shows) I felt I was hearing something very familiar have new life breathed into it. It’s a lovely cover, and I can only hope that some 6th grader out there hears it and in 25+ years remembers Dan’s music as fondly as I remember R.E.M’s.